Benita Fong is the author of Johnny Can See: A Visit to the Eye Doctor. 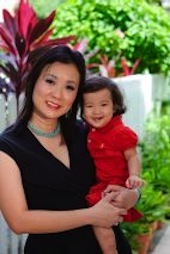 She has been an educator for more than 12 years and she enjoys teaching tertiary students in Singapore. She holds a Bachelorâs degree in English Language and Literature from the National University of Singapore (NUS), as well as a Masters in Communication Studies (Macquarie University, Australia) and Masters in Education (Durham University, UK). She is a trained Audiblox provider and holds a certificate in dyslexic studies and has special interest in children with learning needs. She returns to her first love in English literature, in her first children’s book. In her career as an educator, she interacts with undergraduates from all cultural and social backgrounds. She enjoys imparting knowledge to her students and at the same time learns from them. She believes strongly in lifelong learning. She has an adventurous and positive spirit. She loves travelling, choral singing, musicals and sports. She has lived abroad in Australia and on the East & West Coast of America. She plays an active role in her children’s activities, particularly as a parent volunteer, Sunday school teacher and “taxi mum”.